In a world where the blog and long-term build documentation is all but dead, it feels like more of a privilege than ever to get to witness a cool S13 being built from start to finish. 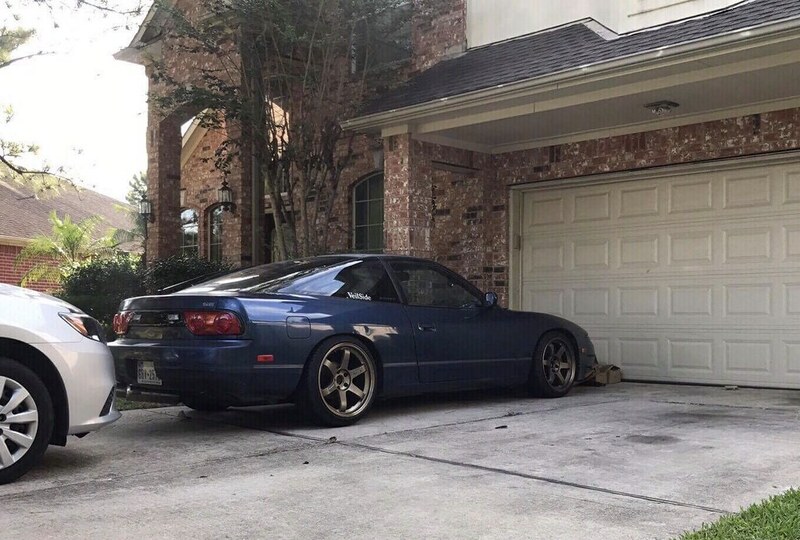 That’s why I am so hyped about my good friend Kevin’s 180SX build that he is currently working on down in Houston, Texas. Kev and I met through our mutual friend Jimmy and have hung out a couple times over the past few years while I was fortunate enough to visit Texas. We’ve stayed in touch and it has allowed me to see his build taking shape first hand. While it’s a bit of a slow process, I know that the end result is going to be awesome. The car currently sits with a set of 17/18 bronze TE37s that I (of course) think look amazing. The recently added kouki 180SX tail lights completely transformed the car. I think all of us that have been lucky enough to own these lights can remember the feeling of stepping back from the car after installing them with a big, stupid smile on our faces. Easily one of the best parts you can buy for these cars. 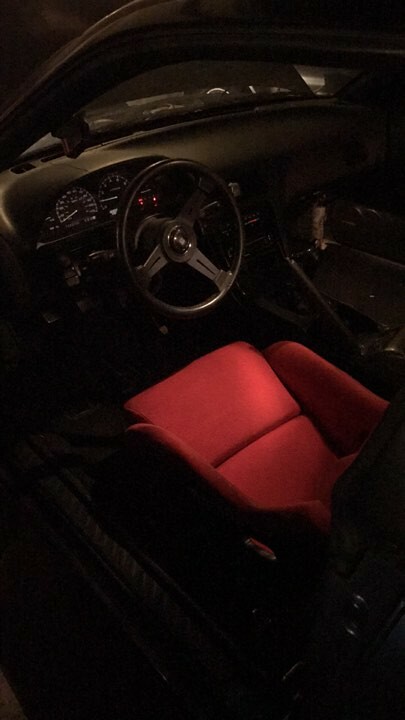 The interior is taking shape as well with a period correct Bride Zeta II/brix combo in red and a Nardi Classic 330mm steering wheel. The next challenge? Saving up for and sourcing a complete set of OEM kouki 180SX aero, of course! This car may not seem like a lot to most people, but it’s important to me knowing how much work has gone into it already. Kev is a young college student trying to earn as much cash as he can to throw at this thing to realize his dream, and I can certainly relate to that time in my life. It’s so hard to remain patient and believe in the final vision. It feels like you’ll never obtain it, but if you stay on track and make wise decisions it’s bound to happen eventually. I’m proud of Kev for working so hard at a Ford dealership all summer to have money for school this fall and to continue to work on this thing. I am beyond hyped to continue to witness the progress on this car over the years. It’s an honor to be able to share the excitement as more pieces of the puzzle fall into place. Nothing motivates me more than when people share their passion and journey with others- that’s why I think documenting a build is so important. you’re definitely right about that feeling upon installing the Kouki 180SX tails. It’s something else. Nice car Kev! Tail lights made a huge difference! Love the blue with red seat combo.